Hebrews 7:25 – Therefore He is able also to save forever those who draw near to God through Him, since He always lives to make intercession for them. Philippians 2:9-11 – Therefore God has highly exalted him and bestowed on him the name that is above every name, so that at the name of Jesus every knee should bow, in heaven and on earth and under the earth, and every tongue confess that Jesus Christ is Lord, to the glory of God the Father. 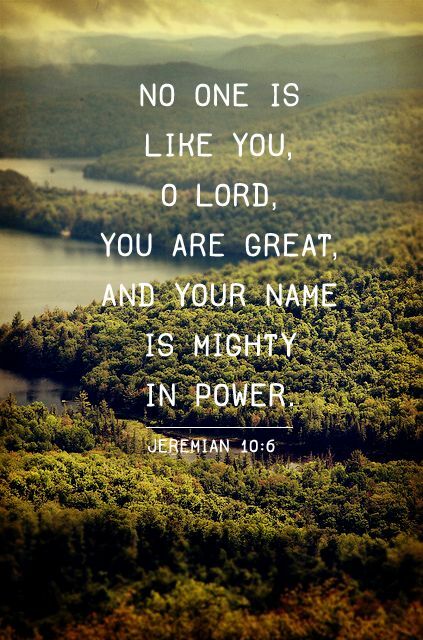 Jeremiah 10:6 – There is none like you, O Lord; you are great, and your name is great in might. Proverbs 18:10 – The name of the Lord is a strong tower; the righteous man runs into it and is safe. 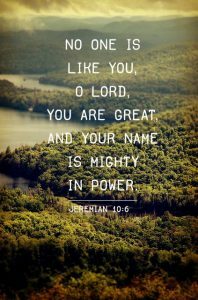 Wishing you a grace full week proclaiming the name of Jesus ~ Let the enemy know NOT TODAY! !